The real reason why the 49ers will win! Okay, quick post before the Super Bowl goes on. I’ve read all the media hype. I’ve listened to all the experts. I read the scouting reports. 2 weeks of all the overanalysis. There are numerologists. There are pyschics. There are astrologists. There are those who say the little brother (Jim Harbaugh) can never overcome the shadow of the older brother, etc. SO here it is….I am taking off my wedding ring. 18 years ago the 49ers went to their last Super Bowl. I was so happy that I finally married my girlfriend of 8 years….and then life took a dramatic change. We never got back to the big game. Well now that has all changed! OFF with the ring for the day!! Superstition and loyalty to my 49ers has taken over and possessed me! 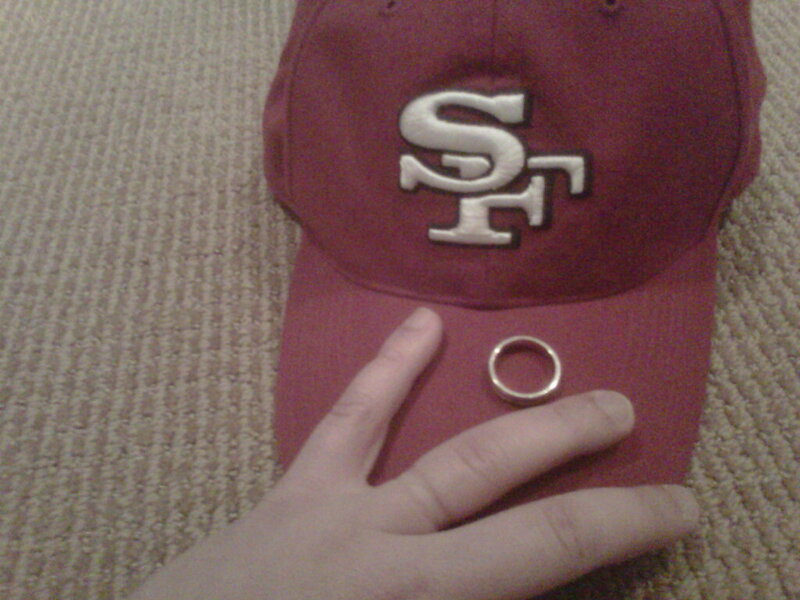 And thus for the first time in 18 years, the ring is off as the 49ers go for their quest for their 6th ring.